All rights reserved. The information and pictures contained herin are copyrighted and for the personal use of the visitor only. 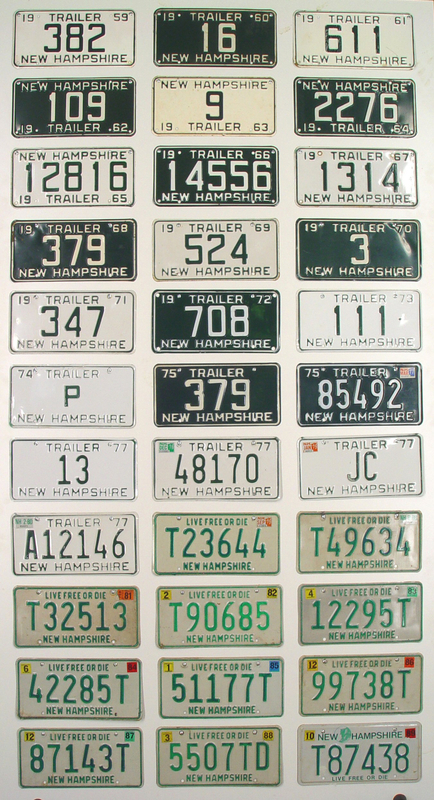 No content from this site may be reproduced in any other publication or site without explicit permission from Gerry Griffin and the NH License Plate Museum. By visiting this site, you hereby agree to abide by this restriction.